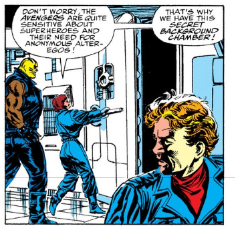 The Avengers are working on the construction of their new headquarters when an unannounced guest drops by. 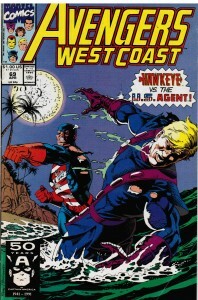 Marvel artist Paul Ryan and John Byrne redid Iron Man's origin in 1991. They changed Vietnam to Southeast Asia, and the war is over. Tony Stark is investigating attacks on his factories, and it turns out Wong Chu is working for the Mandarin. The Mandarin wants Stark and Professor Yinsen to unlock the secrets of the alien rings. Things do not go according to plan. 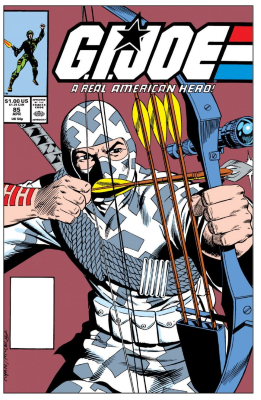 Paul Ryan's pencils on GI Joe 85 "SFX"
Zartan ,convinced that Storm Shadow still seeks revenge for the death of the Hard Master, has set a trap for the Joe Ninja. 3/4 pages from Avengers vol. 3 #32. Upset About the Flashes Having Similar Costumes? You're Not the Only One! So, in this last week's Fanart Thursday thread, the issue of "iconic" and what it means in the New 52 came up, and some people were complaining that Barry's new costume was just an altered version of Wally's. And I couldn't help but find this funny. Boy I've been posting a LOT this weekend haven't I? And I'm not quite done yet. I was reading this old Thor graphic novel, with art by Paul Ryan and Vince Colletta, and you know what? It was totally sweet. Colletta is great. He was Gordon Lish to Kirby's Raymond Carver. His stuff is solid, readable, believable, and awesome. It's to the point. The expressions are strong. He doesn't waste your time, because in real life Colletta was a loanshark who had his studio in a whorehouse, and he did not have time to waste. So here's to Vince Colletta, an interesting human being who produced fine art work and made comics a better place. Comics Alliance had a great page about the upcoming "One Moment in Time" story, which explains the hows and whys of Peter Parker and Mary Jane Watson not getting married in AMAZING SPIDER-MAN ANNUAL #21. Chris Sims points out that nearly the entire annual is Peter thinking he doesn't really want to get married, and then getting married. 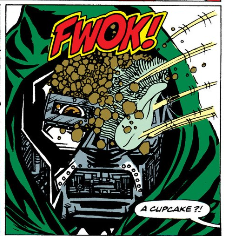 Since FALL OF THE HULKS involves Dr. Doom's Liddleville technology, I thought I would post some pages from a FANTASTIC FOUR issue that used Liddleville once again. Most other stories that use Liddleville take place outside of FF books, including the Micronauts and X-Force. Learn the true meaning of X-mas with Green Lantern and the Flash! Holiday times continue as our hapless heroes learn that it isn't all about presents! Tomorrow: Two X-mas shorts by Ty Templeton, featuring Darkseid and Etrigan! Current Music: Low ~ "Just Like Christmas"